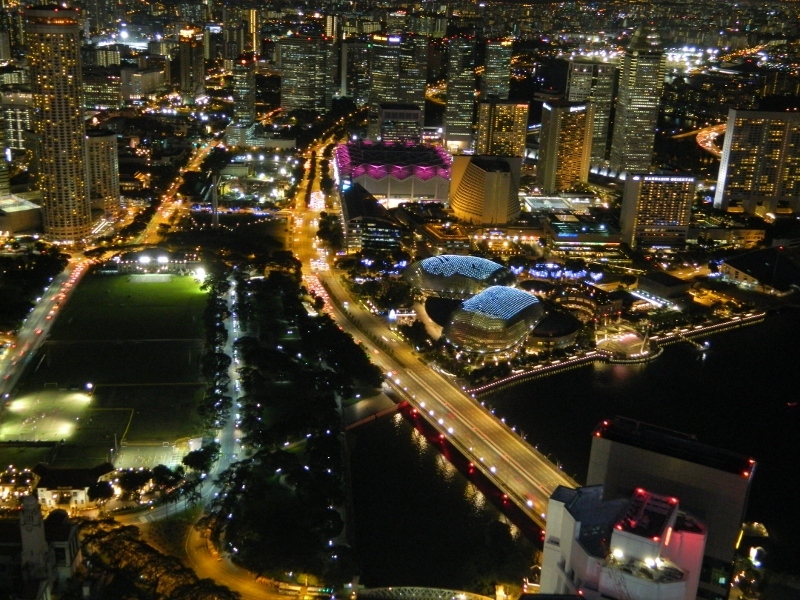 Fabulous 360 degree views of Singapore – go just before dusk to miss the crowds and see the city gradually light up. Entrance is the price of a drink but definitely worth it. Closed during thunderstorms – so don’t bother to go if one is forecast. 74 hectares of tropical inspiration … This is probably one of the best botanic gardens in the world, and if you are a tropical gardener it is a source of both inspiration and frustration. You could easily spend several days exploring and taking photos, but this would be too exhausting. My suggestion would be to split it into two or three visits and get there as early as possible in the morning (it opens at 5am !!) to avoid the midday heat and afternoon thunderstorms. 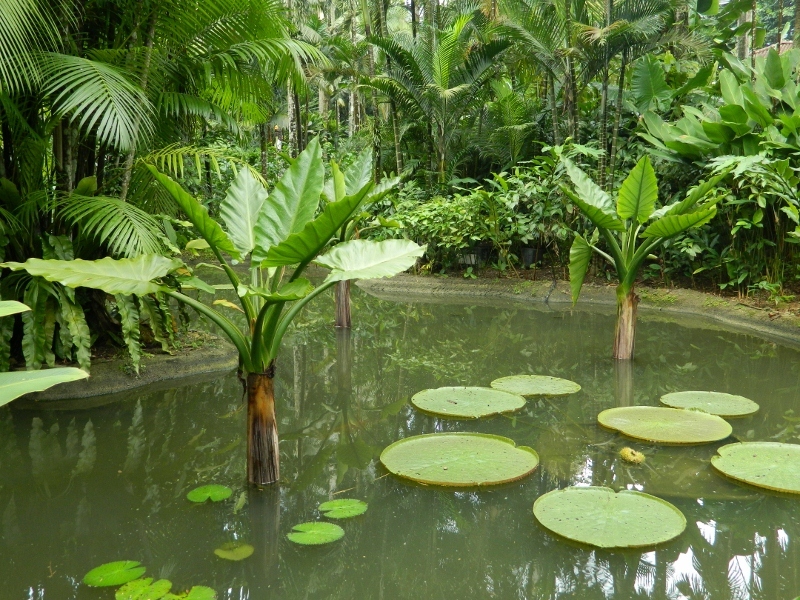 For me, the ginger and heliconia gardens were the highlight. Satay heaven … Dating back to 1898 this octagonal food market was constructed from pre-fabricated panels shipped out from Glasgow. 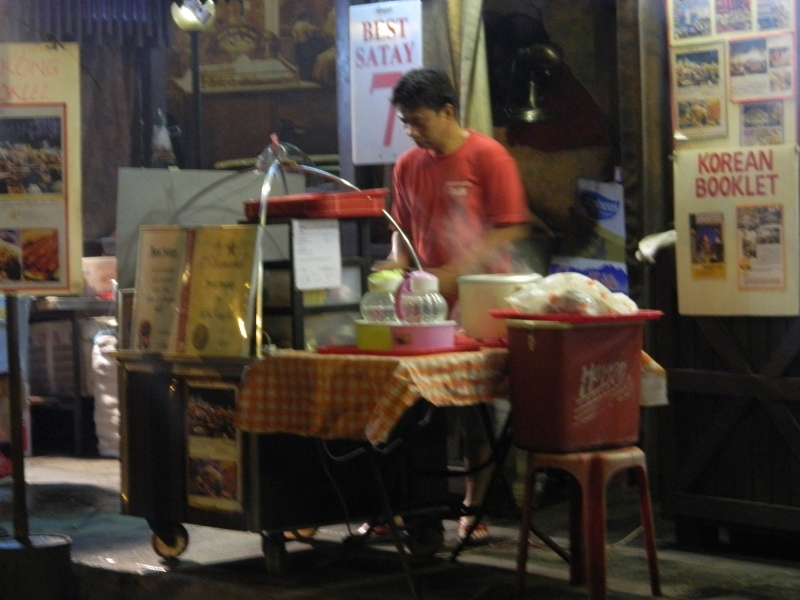 Satay Street is an outdoor section where you can order the most delicious chicken, mutton and prawn satays. Be very careful when pointing at the menu though – it is possible to order 50 satays by mistake !! More understated and less touristy than the Raffles. At L’Espresso I ordered coffee with durian puffs because I hadn’t tried durian before. A very strange experience – the flesh is a lovely creamy texture, but you need to be prepared for the vaguely rotten taste! It’s not something I think I will order again. 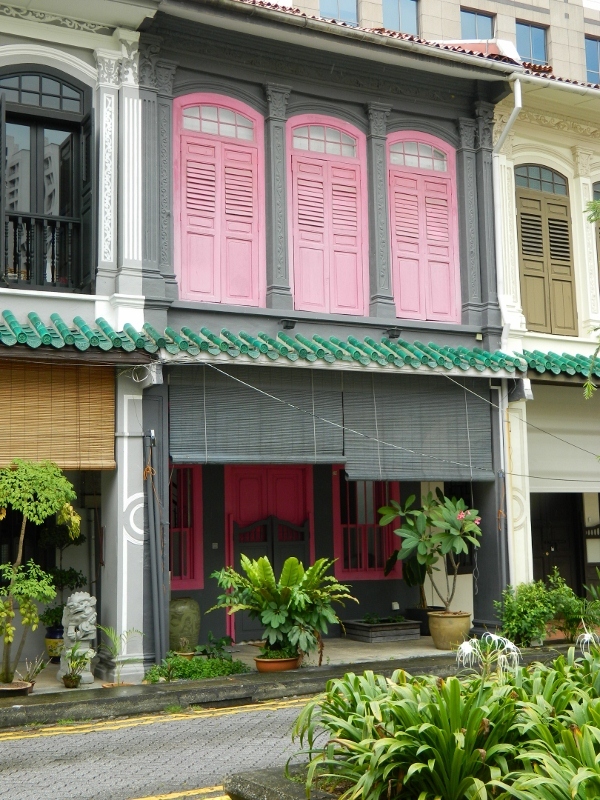 Preserved Chinese Baroque housing – This is a lovely little oasis of calm just off Orchard Road. The entrance is a little hard to find – it’s opposite Orchard Central Shopping Centre and down the side of the Peranakan Palace Restaurant. This former nutmeg plantation was subdivided for houses in 1901 and is now a conservation site with attractively painted terrace houses. I was the only tourist there – but be prepared to move wheely bins around to get a good photo. 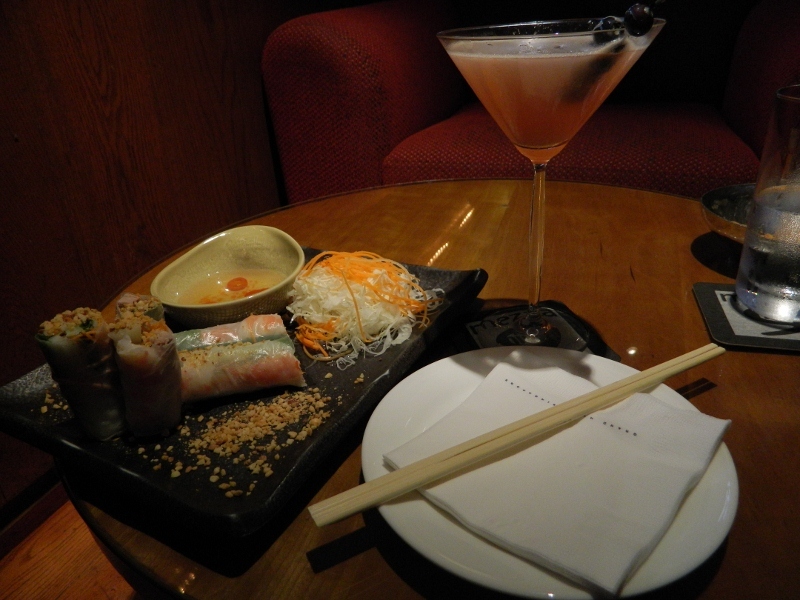 Martini-lover’s heaven – I counted 53 martini variations on the menu. My favourite so far is the Ginger Martini – Vox vodka, french ginger liquer, lemon juice, and fresh ginger. 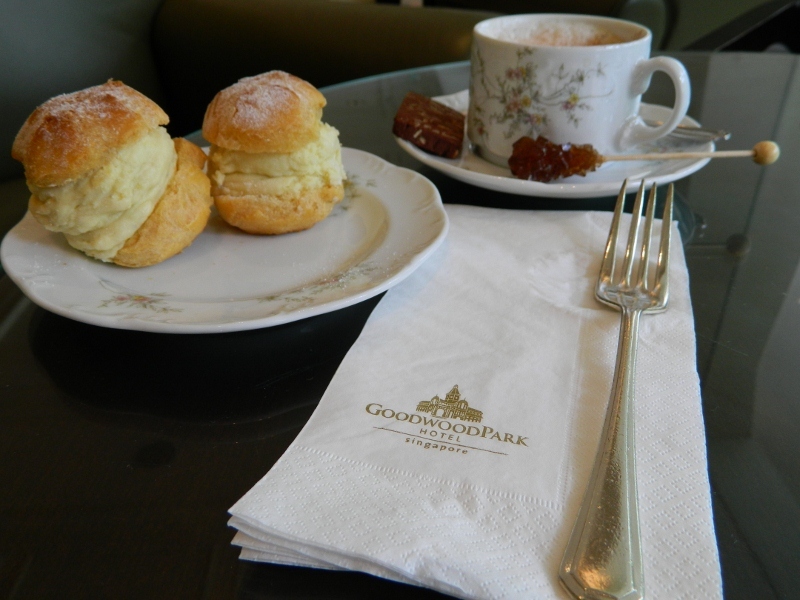 Another hidden away place – ask at the concierge desk for directions. Great nuts and snacks and large comfortable chairs to recover from your day’s walking – but be warned, happy hour lasts from six to nine pm and it can get really hectic and noisy so go early and pay full price if you want some peace and quiet. Finally, a good cup of coffee!! The only good cup of coffee I could find. 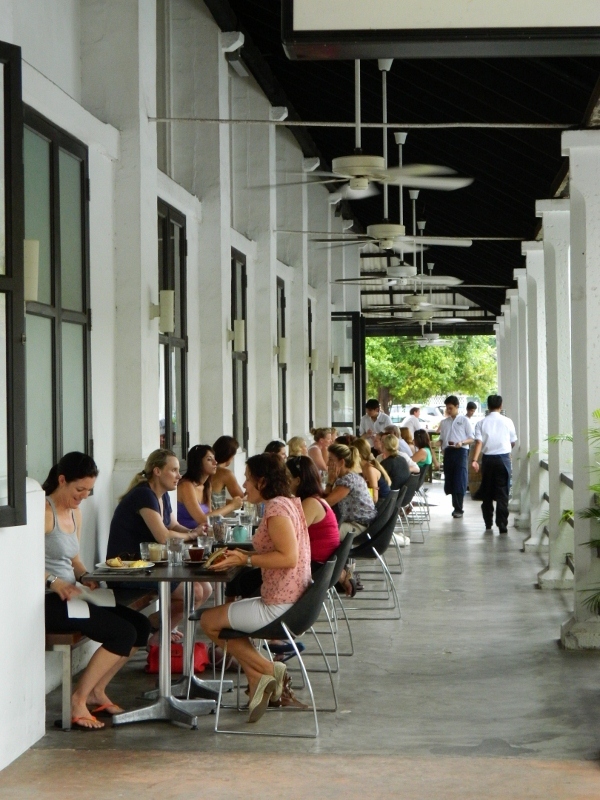 Located at Dempsey Hill – 18 former army barracks converted into a complex of restaurants and shops – this branch of the Australian providore serves really good coffee and breakfasts.